Eldon LeRoy Worman, the son of Elsie (Bringelson) and Earl Worman, was born February 15, 1929 at Inavale, Nebraska. He departed this life on Monday, March 18, 2019 at Perkins Pavilion, Good Samaritan Village in Hastings, Nebraska at the age of 90 years, 1 month and 3 days. 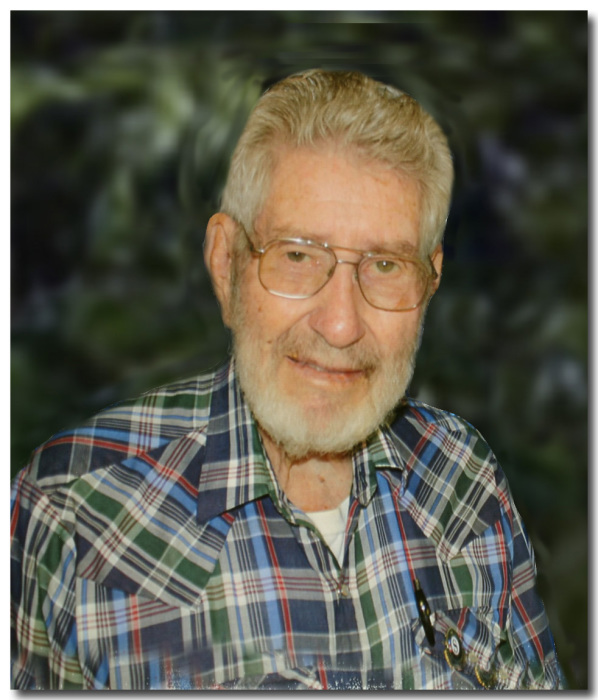 A longtime resident of the Inavale area, Eldon received his formal education attending the Lone Tree rural school in Webster county and graduated from the Inavale High School with the class of 1947. A veteran of the United States Marines, Eldon proudly served his country enlisting on November 6, 1951 and was honorably discharged on November 2, 1953. Eldon was united in marriage with Elizabeth “Ann” Lovejoy on December 10, 1954 at the United Methodist Parsonage in Red Cloud. This union was blessed with four children, Susan, Bradley, Peggy and Janet. They made their home on the farm northwest of Inavale until 1958, when they moved into town to live. Eldon was a member of the Red Cloud First United Methodist Church and the Cowles American Legion Post. Preceding him in death were his parents; his wife, Ann, on December 9, 2004, and his brother-in-law Earl Gilbert. Left to cherish his memory are his children: Susan Linder and husband Grant of Grand Island, Nebraska; Bradley Worman and wife Julie of Nelson, Nebraska; Peggy Metteer and husband Rick of Sioux City, Iowa and Janet Piel and husband Dennis of Hastings, Nebraska. Also surviving are nine grandchildren and seven great grandchildren: Brent and Megan Piel and daughter Emily; Chase and Shay Piel; Adam and Jill Linder and children Claire and Matthew; Travis and Megan Linder; Darcy and Bobby Goode and children Quade and Henley; Stacey and Clint Robinson and children Brigham and Neligh; Heidi and Bobby Konsella; Kelsey and Colin Baumann and Sydney Metteer; his sister, Delores Gilbert of Red Cloud; in-laws, Charlie and Linda Lovejoy of Bladen, Nebraska; other relatives and friends. Funeral services will be held Saturday, 10:30 a.m., March 23, 2019 at the First United Methodist Church in Red Cloud with Rev. Warren Schoming officiating. Interment with military graveside honors will be at the Red Cloud Cemetery. Visitation will be held Thursday and Friday, 9:00 a.m. - 8:00 p.m. at the funeral home and Saturday, 8:00 a.m. to service time at the church.